The sixth season of Game of Thrones is still months away, but already the anticipation is killing fans. And while usually they would look to the author of the Song Of Ice & Fire series, George R.R. Martin, for Game of Thrones Season 6 spoilers, this year will be a little different. Yup, if you haven't heard, the HBO series has already caught up with the big plot points of the books, namely, that crazy Jon Snow scene that closed the finale of Season 5. The next book, Winds of Winter, hasn't been released yet, and, according to a blog post from Martin's Live Journal, Winds of Winter won't be released until after GoT Season 6 premieres, at least. And while TV fans might initially be excited to no longer have those book spoilers hanging over their heads, it's actually a bit of a disappointment, spoiler-wise. So far, the show has always included at least some of the major plot points of Martin's books, and there's no plans for that to change just because the book is going to be delivered later than expected. Yes, according to The Oxford Union, the show will have "spoilers" for the books, but this actually isn't new news — D.B. Weiss confirmed this way back in early 2015 to The Verge, with Martin agreeing that he doesn't understand spoilerphobes. "Yes, there's a pleasure when you're reading a book, or watching a television show — What will happen next? Who will win? Who will lose? But that is by no means the only reason to watch a movie or a television show. It's not the only reason to read a book," Martin said. In his Live Journal post, Martin concluded his news with the question "How many children does Scarlett O'Hara have?" referencing Gone With the Wind, the famous 1939 film adapted from Margaret Mitchell's novel. In the book, O'Hara has three children, one with each one of her husbands, while in the film, it's distilled to one daughter. What does that mean for GoT? Well, as Martin writes, it means that TV show characters don't necessarily totally overlap with book characters. The major players in the books will continue to stick around, but so will people who were never even cast on the show. It also means that despite, say, Tyrion meeting Dany in Meereen in the show, the popular book rumor that Dany and Tyrion are siblings who will ride dragons together won't necessarily play out that way — although it totally could. 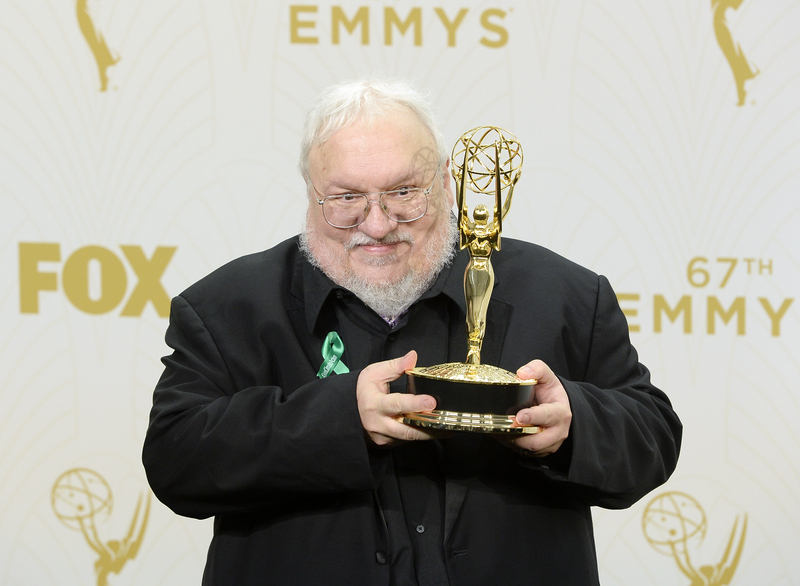 Earlier in the year, Martin confirmed that while he's still working like mad to finish Winds of Winter, he won't have any time to write episode scripts for Season 6, even though he customarily writes an episode or two per year. In the blog post that just keeps on giving, Martin lists off characters who have met their demise on the show but will continue to live in the books. Said the author, "Mago, Irri, Rakharo, Xaro Xhoan Daxos, Pyat Pree, Pyp, Grenn, Ser Barristan Selmy, Queen Selyse, Princess Shireen, Princess Myrcella, Mance Rayder, and King Stannis are all dead in the show, alive in the books." Not too many surprises there, since almost all of these characters were obviously killed onscreen. But when the show cut away from Brienne's attack on Stannis, it immediately raised some doubt that he was really dead. Usually on GoT, if you don't see a gruesome beheading, it didn't really happen, but Martin let slip that Stannis fans (though how can there be any after what he did to Shireen?!) shouldn't get their hopes up about his return. In the last Arya scene of GoT Season 5, she appeared to have gone blind after angering the Many-Faced God by stealing a face in order to kill Ser Meryn Trant. And the sample Martin released from Winds of Winter from Arya's POV doesn't totally contradict that, as Arya goes undercover with a theater troupe, the members of which have been cast in Season 6. Okay, last spoiler embedded in the Winds of Winter announcement, I promise. But it's worth it. Martin writes, "Balon Greyjoy [...] is dead in the books, alive on the show. His brothers Euron Crow's Eye and Victarion have not yet been introduced (will they appear? I ain't saying)." Hmm... why even point out the other Greyjoy brothers at all unless there's potentially plans to make the Iron Islands a huge part of Season 6? While Theon is still Reek, and may have just committed a suicidal escape attempt with Sansa, it seems like his family is going to make a major reentrance on the show. Casting announcements abound, and the Greyjoys have been much more impactful in the books than in the TV adaptation so far. Ever since that pivotal stabbing happened, Kit Harington has emphasized that Jon Snow is "dead." But no one has ever said that means he won't be back in some other form... and in the years since Dance With Dragons first introduced this Snow-related shocker, Martin has enjoyed tormenting fans. "If there’s one thing we know in A Song of Ice and Fire is that death is not necessarily permanent," Martin told Entertainment Weekly earlier this year. Whether it's through warging, Melisandre's magic, or something else that hasn't been in the book or show yet, the biggest mystery of Game of Thrones Season 6 is still what happens to Jon Snow, and not even the creator himself, George R.R. Martin, has decided to bite and give a concrete answer.